They are responsible for all the desserts, and not only, served during the main meals, for breakfast and in the mid-morning and mid-afternoon breaks. They deal with the preparation of savory dough for the kitchen, such as fresh pasta, but also other baked preparations, such as bakery products. Essential elements: extreme attention to detail, a strong aesthetic component during service, creativity, and transversality compared to the kitchen brigade in which they are inserted. Nowadays we need professional figures specially prepared to meet the needs of the modern clientele of renowned hotels and restaurants, to offer a quality service. CAST Alimenti, the Italian School of Culinary Arts, always attentive to the needs of the market, from January 2019 proposes a new advanced course, in order to respond to the current demands of professionalism, which have become increasingly higher and specialized. The course is aimed at all those who want to perfect or learn the profession of Pastry Chef in the restaurant and hospitality industry. 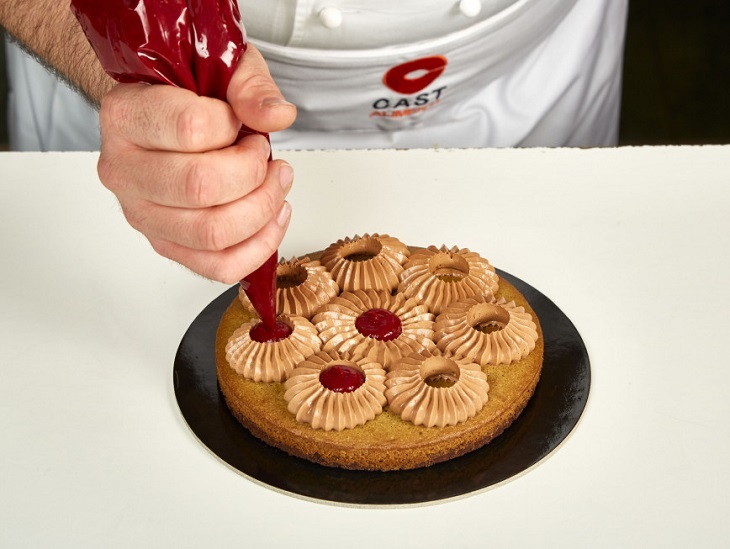 It is also designed for those operators of the food world who already have experience in the field of catering and want to complete and expand their cultural background learning all the skills of a modern and cutting-edge Pastry Chef. It is not essential to have previous experience in this sector. Making sweet and savory recipes, as well as baked and hearth recipes typical of national and international pastry suitable for the restaurant and hotel industry. Roll out a dessert menu, in collaboration with the Executive Chef. To manage the quality of ingredients independently in order to maintain product standard. Organize the presentation of the buffets, from the selection of the products to the preparation of the same. Fundamentals of classic, national and international pastry. Environments, machinery, and tools of the trade: how to organize the workshop and the pas. Basics of cooking and savory food preparations. 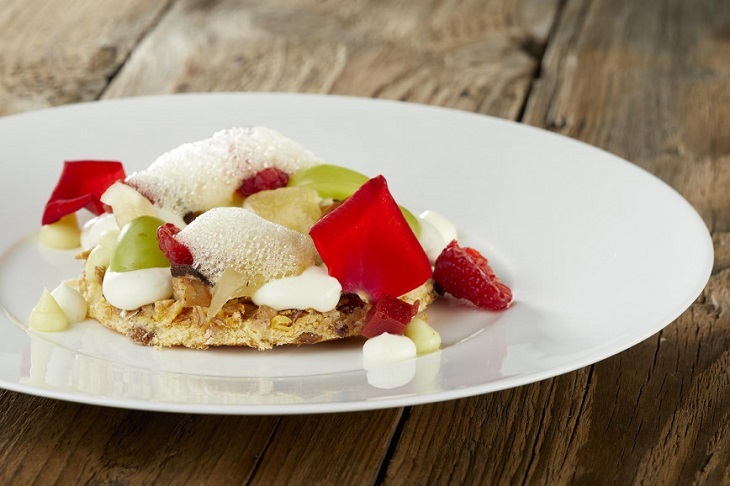 Restaurant desserts: plated, at the cart, buffet and single portion. 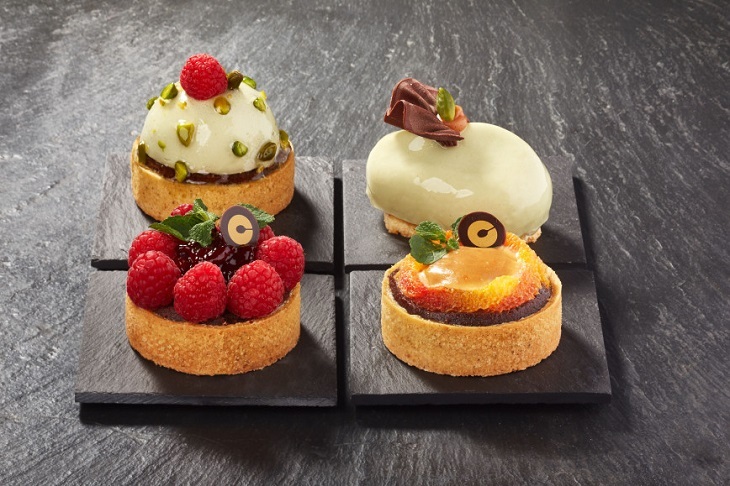 Pastry for breakfast, sweet and savory, buffet and à la carte. Sweet and savory products for coffee breaks, brunches, and snacks. Desserts for intolerances and healthy options. Bread for breakfast, leavened products, classic bread and special bread for catering. Pralines, classic and gourmet confectionery. Pre-desserts and petit four pastries. Ice creams, sorbets and frozen desserts for catering and restaurants. Decorations in sugar, chocolate, and biscuits for plating. Cake decoration for theme presentations, ceremonies, and events. Buffet organization and à la carte service. Outlines for management, food cost, and menu engineering: the restaurant's dessert menu. Sensory analysis base, selection criteria of raw materials and semi-finished quality products. Safety in the workplace and sanitary aspects of the profession. Because of our history: we were born in 1997. Because of the great masters who teach in our classrooms. Because of the solid network of contacts within employment opportunities. Because we are the school of world champions: we teach excellence. Because of our international prestige. 80% of students find work in the sector, thanks to the job posting service reserved for those attending school.